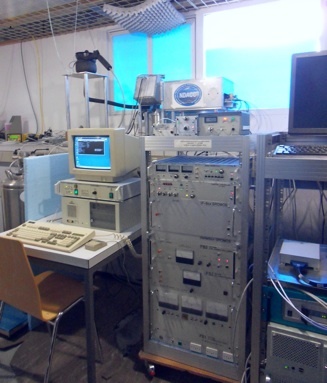 Within the Network for the Detection of Atmospheric Composition Change (NDACC), the microwave radiometer GROMOS is continuously operated at Bern (46°57’N, 7°27’E), measuring ozone of the middle atmosphere. Ground-based microwave radiometry allows continuous, unattended operation and is nearly independent of weather conditions. The data set is used for cross-validation of satellite experiments, detection of long-term trends, and monitoring of atmospheric variability, e.g. due to planetary waves, transport processes, sudden stratospheric warming, tides, gravity waves.